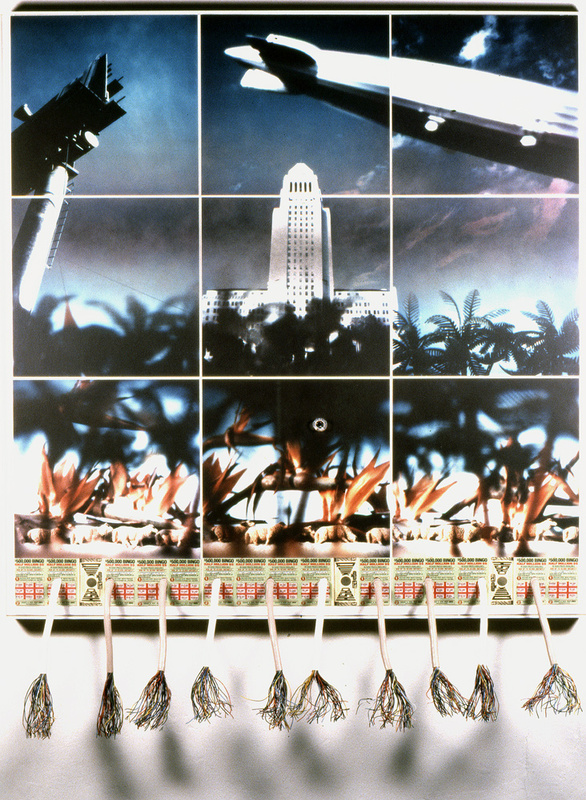 Los Angeles Bicentennial Piece, 1980, Cibachrome prints with hand altered surfaces, sculpted telephone wires, unused game cards, plexi container with 32cal. bullet hole. 60"X47"X2"